You&apos;ve seen the Facebook posts, tweets and Instagram chatter about #iHeartHsv. Chances are if you live in Huntsville or traveled here recently you&apos;ve either used or seen the hashtag #iHeartHsv in reference to Rocket City events, attractions, restaurants or news. But do you know the hashtag&apos;s backstory? Are you up to speed on the two week, annual campaign of the same name that includes tons of Huntsville prizes up for grabs? 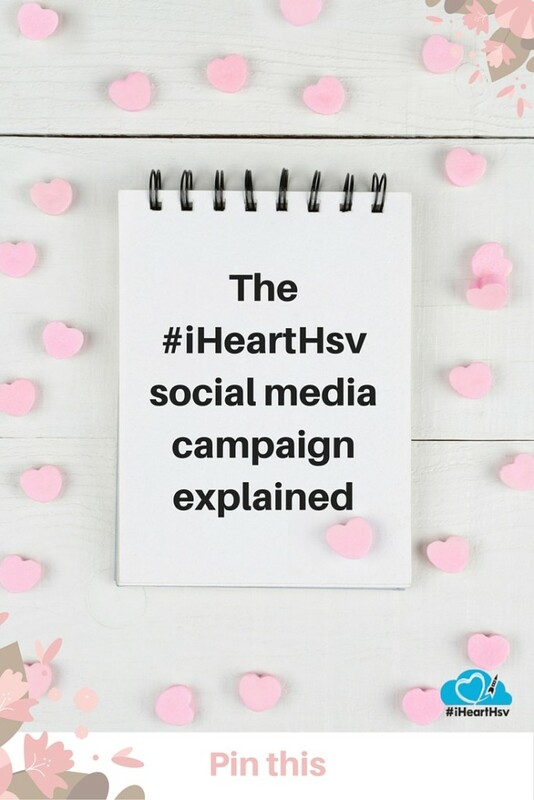 We&apos;ve compiled all the info you need to know in one blog post - the #iHeartHsv social media campaign explained. We hope to see your pics on social media for the 2019 campaign that takes place February 1 - 14. In 2014, the team at the Huntsville/Madison County Convention & Visitors Bureau (the folks behind this #iHeartHsv blog) was looking for a way to increase the online chatter about the Rocket City on social media. We wanted to organize the great conversations already happening about our community and encourage even more talk about the many things to do and see in Huntsville and Madison County, Alabama. Our job at the CVB - in layman&apos;s terms- is this: To tell the story of the Rocket City and Madison County in an accurate and compelling way to ultimately encourage increased leisure travel to Huntsville (folks visiting the Rocket City on vacation) and in a way that recruits convention groups. We do this because of the economic impact travel and tourism brings to a community. In 2016 alone, travel and tourism to Madison County, Alabama, generated an economic impact of over $1.13 billion and saved the average household over $650 on taxes. The hospitality industry here in Huntsville and Madison County (the group that supports and stimulates travel & tourism) is responsible for 14,000 local jobs. It&apos;s big, important business. So, circling back to the origin story of the inaugural #iHeartHsv campaign, the CVB created the hashtag #iHeartHsv. And for the last 5 years, we&apos;ve been organizing a two week campaign around Valentine&apos;s Day to encourage and reward those who are sharing what they love most about our community on social media. We&apos;ll sum it up pretty simply. Each day, check for the prompt (something like "Tell us your favorite locally made product here in Huntsville/Madison County"). Prompts will change every day. Find the daily prompt on our Twitter, Facebook, and Instagram each morning of the campaign (February 1 - 14) around 8 a.m. Respond with your BEST photo to the prompt on Facebook, Twitter and Instagram. Be sure to include the hashtag #iHeartHsv so we can see your posts. A team of folks at the CVB will pick a winner each day. (Enter daily, because a new winner will be chosen daily - there are 14 chances to win!) *Also - no cheating! Only photos originally taken and owned by each entrant will be eligible to win. #iHeartHsv TweetChat - We&apos;re bringing together local and regional tourism influencers, the Huntsville/Madison County hospitality industry and folks who just LOVE Huntsville/Madison County in a tweetchat on Friday, February 1 from 8:00 p.m. to 8:30 p.m. CST to officially launch #iHeartHsv 2019. And we want you to join us! Rumor has it some special prizes will be given away during the #iHeartHsv TweetChat. There you have it. 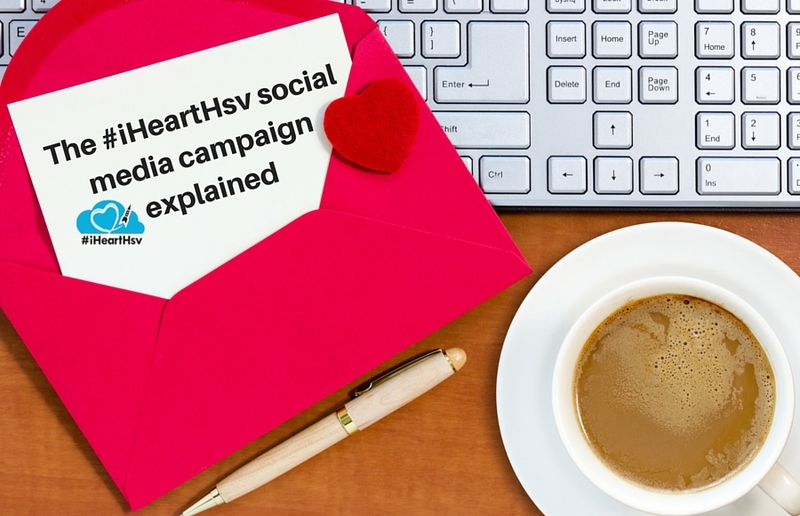 The #iHeartHsv social media campaign explained. Questions? E-mail us at social@huntsville.org or message us on any of our social media channels.